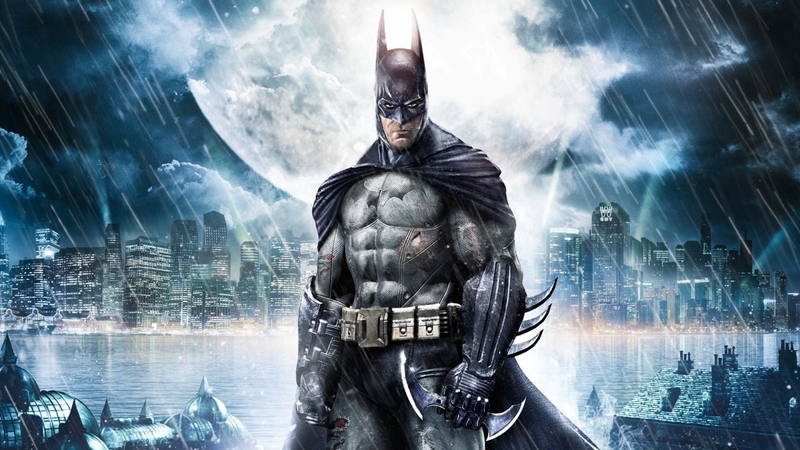 Rocksteady Studios eloquently nailed the gothic and horrorific aspects of the Batman universe with its Batman: Arkham series. The developer’s Gotham City is equal parts gorgeous and terrifying. Much of this is explored on-screen. However, a new video unearthed some terrors concealed behind the camera in Batman: Arkham Knight. YouTuber Shesez hosts a series of videos dubbed Boundary Break that ventures behind the cameras of numerous games. When exploring out of bounds areas that developers don’t intend players to see, many oddities are discovered. Of course, Batman: Arkham Knight was no exception. One oddity was featured in the opening, while a cop wandered around Pauli’s Diner. Scarecrow appeared hunched over in a booth. When the officer reached out, Scarecrow injected him with Fear Toxin, which caused him to hallucinate. Through the lens of the officer, reality was warped. However, once Shesez pulled the camera back, we see Scarecrow left the scene. Additionally, the diner’s patrons vanished and soon after the hallucinations kicked in. Scarecrow’s reign of terror behind the scenes didn’t end there. When the Dark Knight first confronted Scarecrow, the villain was in a room made of glass walls. All we saw was his silhouette. What he actually did while in the room couldn’t be more entertaining. He seemed to be miming or dancing, fluid movements that were more terrifying than a mere image of his silhouette. The Scarecrow encounter got stranger during the Joker reveal in subsequent scenes. The Clown Prince of Crime made a grand entrance, appearing on-screen in a reverse-burning animation that definitely shouldn’t have been hidden behind a camera. Other interesting notes from the video included Poison Ivy trickery. When Ivy’s plants pulled Batman out of an elevator, the vigilante was hung above the building in the sky. He stayed there until he surprised her on the bottom floor. Additionally, Ivy’s trip on the aforementioned elevator wasn’t a trip at all. Instead of going down, she stayed in place while the elevator moved up, which created the illusion of movement. The tricks used to ensure players experience the game as a developer intended are all very intriguing. Hopefully, we’ll soon learn about the next game Rocksteady is developing. Rumors and purported leaks have been ongoing for months about the team potentially working on a Superman title.